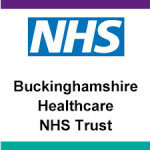 Buckinghamshire Healthcare NHS Trust are running a number of sessions called ‘Your Community, Your Care’ from 7th April – 12th May and are inviting members of the community to attend. Bucks Healthcare NHS Trust are currently exploring how they can develop healthcare hubs that will better support community needs. The Trust are keen to hear thoughts and ideas from local people across Bucks about how they might best deliver care closer to home for the future. You can find more information on dates and locations here.